You know that this was deactivated before the building was abandoned. If you look through the plastic cover you can see that the pull station has been disassembled, revealing its internal printed circuit board. 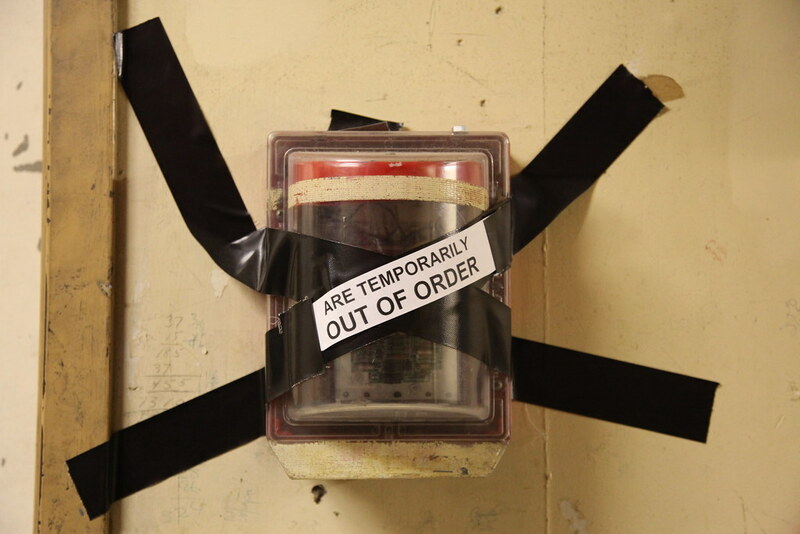 Chances are a malicious false alarm also broke the pull station, and the management figured they would not be subject to an inspection before the demolition.